A beautiful, matted and even complexion in an instant. 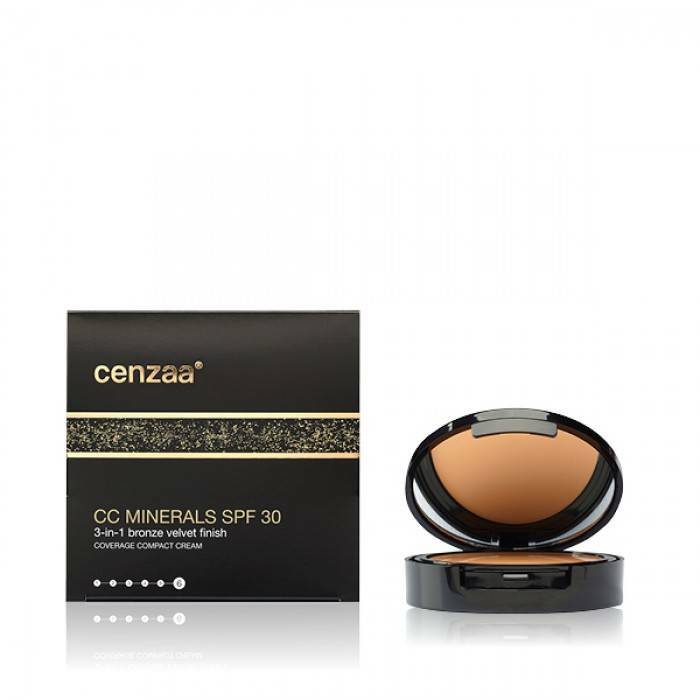 That is the result of Cenzaa's 3-in-1 Coverage Compact Cream [Beauty Sun Protection SPF 30]! A beautiful, matted and even complexion in an instant. That is the result of Cenzaa's 3-in-1 Coverage Compact Cream [Beauty Sun Protection SPF 30]! The 3-in-1 Coverage Compact Cream has a large anti-UVA / UVB spectrum, helps reduce stains and visible pores, provides a smooth complexion and a dry, powdery finish. The delicious, soft texture is perfectly spread over the skin and gives it a beautiful, sunny glow.